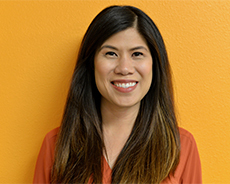 Mar is passionate about working for mission-driven organizations that empower children and families to succeed. Prior to joining CHC, Mar was the Controller for Go Kids, Inc. where she became inspired by her daily interactions with children and developed a fond appreciation for the programmatic aspect of child development. After over a decade in public accounting, auditing several Bay Area non-profit organizations, she entered the non-profit arena and completed her MS in Nonprofit Management/Leadership.